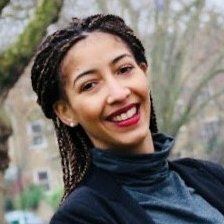 Nkiru is the Blockchain Strategy Lead for Dell Technologies, UK & Ireland with experience within Financial Services, Supply Chain and Retail. In her role, she focuses on advising organisations on mitigating the challenges around Blockchain adoption focused on scalability, performance, interoperability and end-to-end ecosystem management. As well as devising and developing the Blockchain Strategy for Dell Technologies in the UKI, Nkiru in collaboration with Dell’s global strategic partners has opened a Blockchain Lab in the UK. In her wider capacity at Dell Technologies, Nkiru acts as a trusted adviser supporting clients in their digital transformation journey, specifically around adopting emerging technologies and achieving business outcomes.